Donovan & Morello, LLP is a trial law firm dedicated to the quality representation of the accused and the injured since 1987. We are a team of experienced trial attorneys with over 35 years of experience in our respective fields. 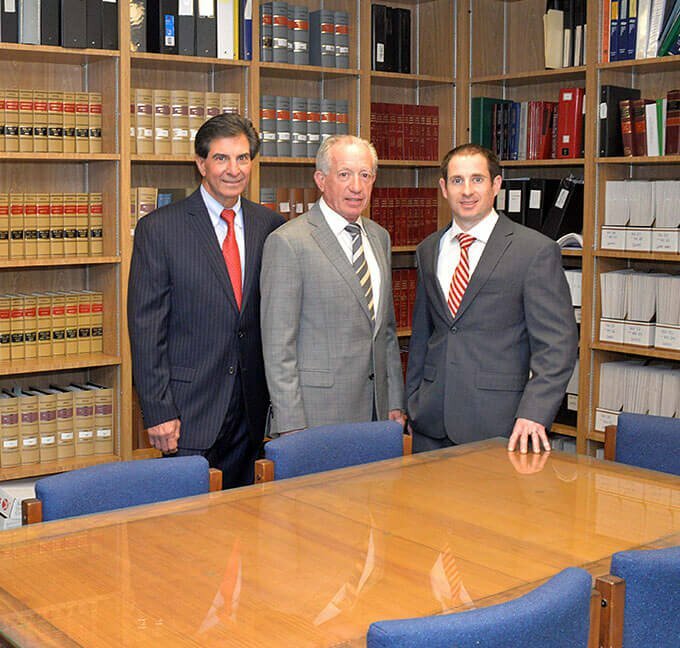 Attorney John R. Donovan brings his unique experience as a former Connecticut prosecutor while Paul A. Morello Jr. offers deep insight into personal injury cases as a former partner in an insurance defense litigation firm. Passionate about helping the underdog and those who feel powerless against large institutions, we put all of our collective resources and knowledge towards achieving the best possible outcome. Whether you have been arrested or injured in an accident, we are ready to give you a voice and to protect your rights. Best of all, each case we take on is handled directly by one of our attorneys from beginning to end. John R. Donovan served as a prosecuting attorney while Paul A. Morello Jr. practiced insurance defense litigation for many years. We bring a unique insight into the inner workings of the insurance industry as well as the criminal justice system. Our attorneys are seasoned litigators who have tried numerous court and jury cases to conclusion. We prepare each case as if it will go to trial, whether complex or relatively straightforward. We perform all the necessary legwork early on, including investigations, interviewing witnesses, obtaining photos, retaining expert witnesses, and more. We advise you on your particular case based on our knowledge of the law and vast experience with previous cases. We give you the pros and cons of each option while providing you with as much detail as possible to make informed decisions. Attorneys Paul A. Morello Jr. and John R. Donovan have achieved an AV® 5.0 out of 5.0 Rating by Martindale-Hubbell®. This is a national peer-review system that rates an attorney based on his or her professional conduct, legal knowledge, results, and reputation. Our lawyers are highly regarded in legal circles and are proud to deliver nationally recognized advocacy to our clients. Attorney Paul A. Morello Jr. is a recognized authority in uninsured/underinsured motorist litigation, having authored a treatise on the subject. He is consulted on a regular basis by other attorneys and has served as an expert witness on uninsured motorist law matters. We are ready to serve you in Cromwell, Middletown, Meriden, and all across Connecticut.